For all its popularity in Japan (and it is really, really popular here – that 30th anniversary Dragon Quest art exhibition that recently ran in Japan was intensely busy), Dragon Quest has a checkered history in the west. Games have gone unlocalised. Other games have sold poorly. Square Enix has only localised some because Nintendo agreed to publish them. Related reading: Matt's review of the iPhone version of Dragon Quest VIII, which is also getting a 3DS make-over. It seems like we’re back on track with the series though. By all accounts Dragon Quest Heroes sold well, we’re getting the Dragon Quest Minecraft clone, and Nintendo is still publishing titles, and with a renewed vigour. 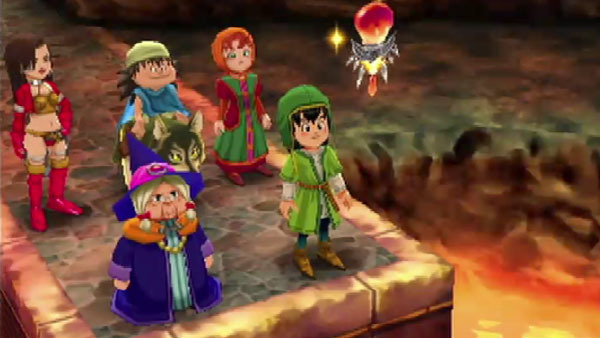 The 3DS remake of Dragon Quest VII: Fragments of the Forgotten Past is actually one of the bigger games for the console this year, and that’s just as well, as it will probably take you the rest of the year to actually finish it. Infamous for being one of the biggest, most bloated JRPGs ever made, Dragon Quest VII is one of the few where 100 hours worth of gameplay is believable, and not just for the perfectionists who have to see and do everything within a game. 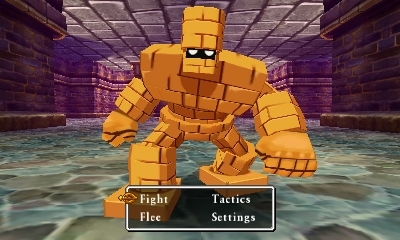 Pacing within the game is so laborious that you’ll not even fight your first enemy until two hours into the game, and throughout the adventure you’ll continue to backtrack back and forth, revisiting places and wandering over familiar grounds over and over again in order to simply follow the largely linear narrative along. This bloat is entirely justified, however, and Dragon Quest VII actually stands as one of the better examples of how game narrative can make use of extreme length in order to build something that films or books are not generally suited for. 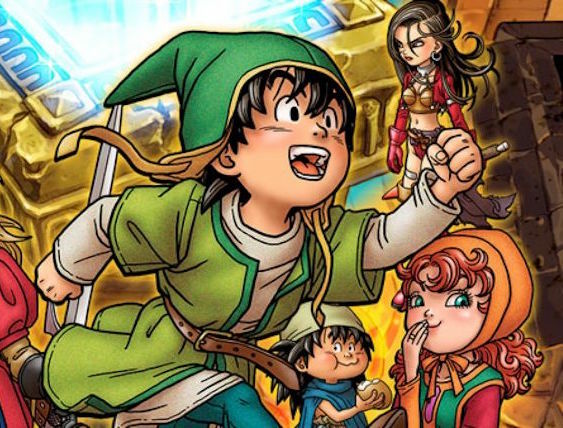 Forgetting for a moment that the protagonists themselves are a largely forgettable bunch, what makes Dragon Quest VII a compelling experience is its world building, and the way in structures progress in order to maintain a player’s interest. 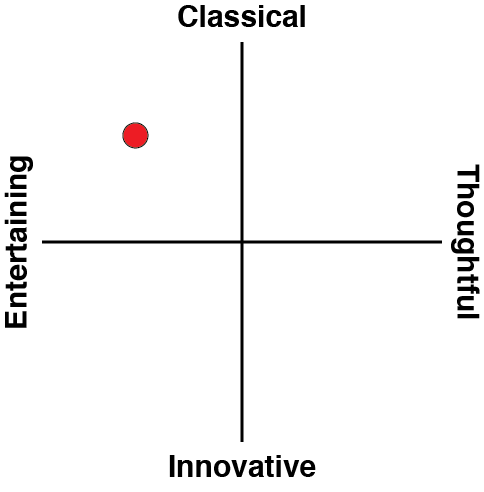 There’s an overarching narrative in the game, though it is flimsy. A couple of kids are brought up on an island in which the entire population is quite comfortable with the official position of government and religion alike that theirs is the only island in existence. The kids aren’t comfortable with this idea, however, and in exploring forbidden parts of the island, discover a shrine with a large number of curious pedestals that can teleport them back and forth in time to completely different locations. These locations are invariably suffering under some great doom, and by helping the locals survive the threat, the islands that the kids travel to appear on the modern world map back home. Which, of course, not everyone back home is happy with. Where this structure is clever is that it allows the storytellers to actually spin Dragon Quest VII into a series of shorter vignettes, and give players new stories to follow along every few hours. And, as flimsy as that overarching plot might be, the vignettes themselves are wonderful, rich storytelling experiences, with plenty of drama, humour, and heroism to indulge in. The first island is a village that has had vengeful monsters steal away the entire population of women and children. The second island is one that sits on the edge of a volcano that looks set to erupt. In each one of these vignettes there’s a moral story at its core. Without giving away too much (because some of these stories can be surprisingly affecting), the monsters are spiriting away townsfolk in punishment for the cowardice of the townsfolk. The volcano becomes a threat because of the wilful and stubborn ignorance of the villagers at its base. This, too, is a clever setup. The player gets to play hero as the protagonist’s party is a neutral third party, while at the same time participating in the fallout for a wealth of different moral and ethical failings. It’s almost like Aesop’s Fables spun into a game, with the player being an active participant, though a third party stuck with the task of cleaning up after the fallout. This structure of storytelling is quite common for Dragon Quest games. As mentioned, it helps hold the player’s interest by giving them completely new stories to experience with each location, but it also effectively drives them along a linear path from town to town, and situation to situation. 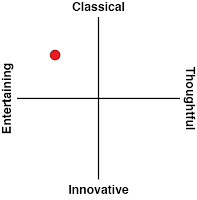 For the bloated length of the overall game, there’s a classic, elegant flow in the way the world is discovered and each vignette is short enough that each play session will push things forward what feels like a significant amount. Dragon Quest VII never feels like an overlong game, in other words, and it’s only when you check in on the timer that you’ll realise just how much you’ve been playing. The sense of journey is further deepened with the way that each town and region has its own culture and mannerisms. The localisation job on the game is superb, with each community displaying – through text, no less – differing mannerisms and accents, making the game’s dialogue vibrant and entertaining throughout. Though the individual vignettes can become quite dark and grim, the world of Dragon Quest VII is filled with entertaining personalities, bright colours, and adorable enemies whose names are often puns or wordplay in themselves. That juxtaposition between humour and the exploration of deeper themes has remained unique to Dragon Quest through the years; while other JRPGs have tried to mix humour and seriousness, none have been as fluid and charming about it as Enix, and now Square Enix. 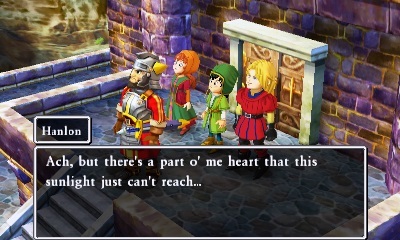 As a production, Dragon Quest VII shows the weakness of the 3DS’ creaking hardware. Pop-up is substantial when travelling around the world, and while the anime-style visuals help mask the lack of detail in character and environment design, it’s still a very basic game on a technical level. Of course you’re also not likely to care when the story, character designs, and music all combine as delightfully as they do here. There is a real, genuine time commitment that Dragon Quest VII makes of its players, and were it a lesser game I would say that it’s almost insulting that the game thinks it can make such a demand. Thankfully, this is a remaster of one of Square Enix’s all time classics, and it’s not arrogance from the developers at all in crafting a game that will take over 100 hours to complete. It’s a simple, and entirely appropriate confidence in the quality of the work that led the developers to craft such a lengthy quest back in 2000, and it remains every bit as worthy today.